NAS main website has a signposting service to help you find local services. Click on ‘personalised information’ under the search box. Email NAS Befriending Service – Aims to reduce social isolation. Lesley Davis Independent Family Advisor –advice and monthly meetings. They can help by providing access to impartial and confidential guidance and support on matters relating to Special Educational Needs and Disabilities, including education, schools, national and local policy and practice, statutory assessment and Education, Health and Care plans. You can contact them for specific information about services for disabled children and young people in Greenwich. They have produced a leaflet listing activities for disabled children. GPV are an independent group of parents in Greenwich who all have children with a disability or special educational needs and are committed to giving a voice to all carers and families in government. They post a lot of information and events of interest. 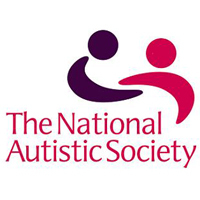 Charity that covers those with ASD if they also have a learning disability. IPSEA – For legal advice and more regarding rights, process, etc. They have drop ins Monday from 2-4pm and Weds 10-12. Best to get there at least 40 mins early to guarantee getting seen by an advisor. 6. Football: Coaching for children with special needs. Crook Log Leisure Centre, Danson Road, Welling. Term-time Mondays 6.15 -7pm (12-16yrs);Wednesdays 5.30-6.15pm (5-7yrs) and 6.15-7pm (8-11yrs). Cost £1 per session. No need to book, just turn up.